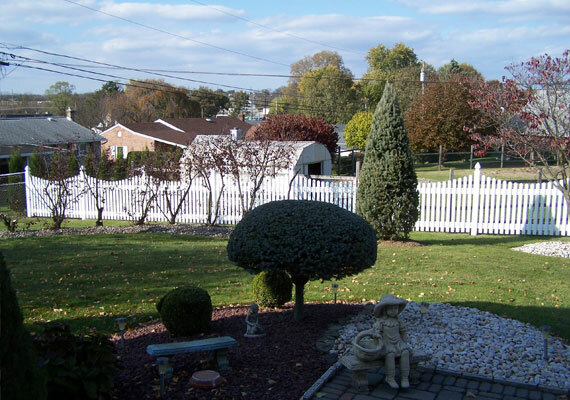 My name is Fran Gotzon. 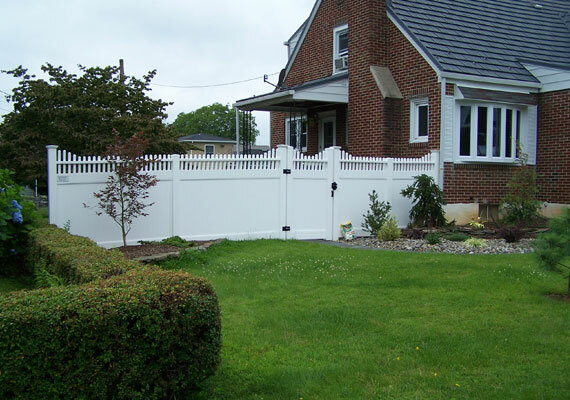 I founded and have operated Lehigh Valley Fence since 1979. 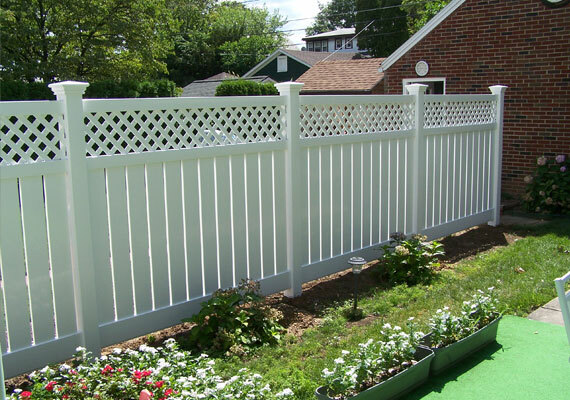 If you schedule an appointment with LV Fence Co, I will be the person you meet. 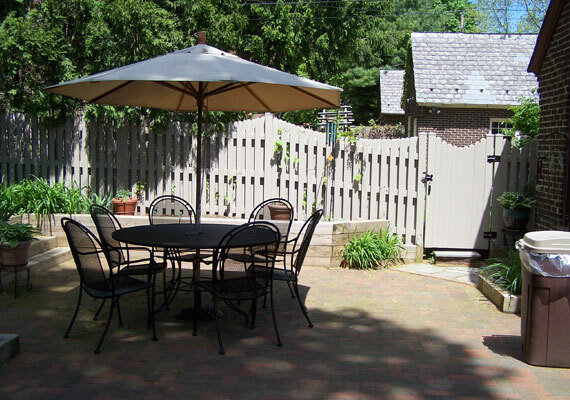 Initial meetings with prospective customers are casual and they seldom last beyond 20 – 45 minutes, which is nice, but only so much information can be traded in that amount of time. 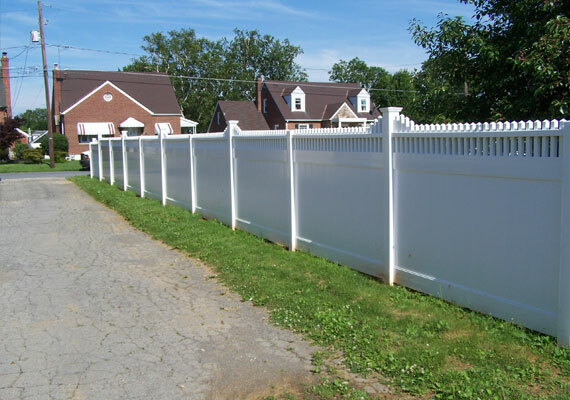 I learned a long time ago that we’re not just putting up a fence – we’re providing a service where overlooking just one tiny detail can spell disaster. 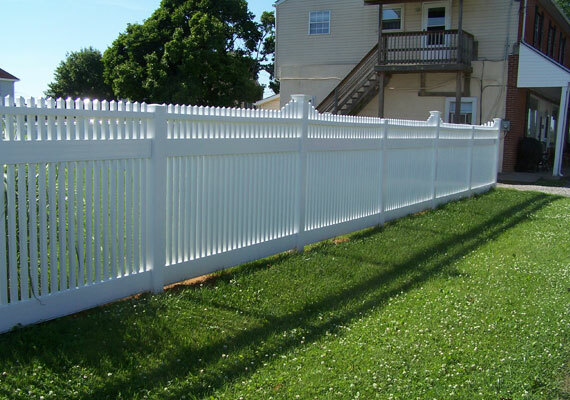 Below are some points to ponder that can help you be more informed, better prepared, and ultimately lead to a successful fence installation where all parties are totally satisfied. 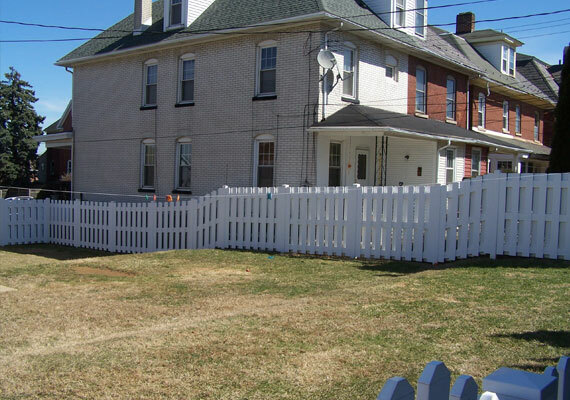 But It’s Really About You! 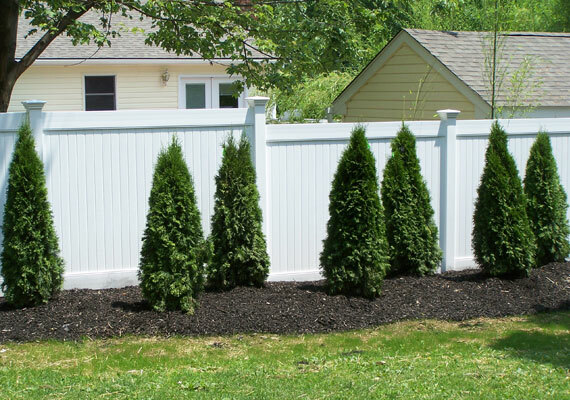 Keep mistakes to a minimum (and correct them immediately). 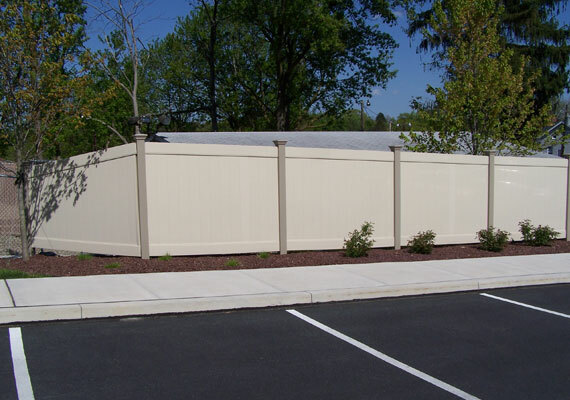 Keep communications with customers at a maximum. 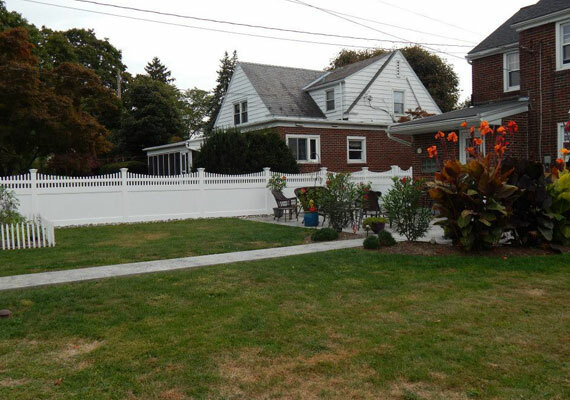 That last item is huge. 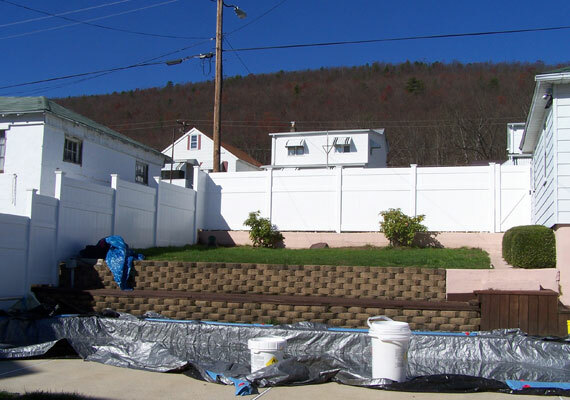 We really want to do the job right the first time. 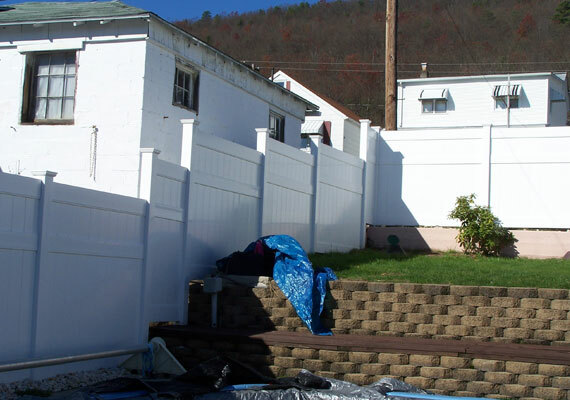 Sometimes what has been written on a contract may not match your visual interpretation and sometimes, when we begin the work, a question or two will arise that requires your attention …and sometimes the work cannot proceed until it’s resolved. 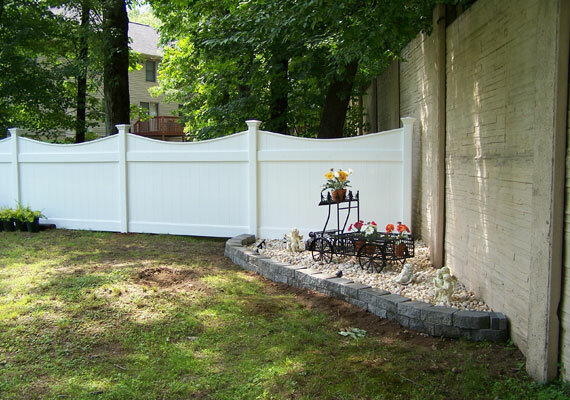 The majority of customers will be available for an hour or two the morning we start a fence but, if you have specific expectations regarding the height or elevation of the fence or how it follows the grade of your yard, or exactly where your gates should be located, you should definitely be present the entire day and ask every question that comes to mind. 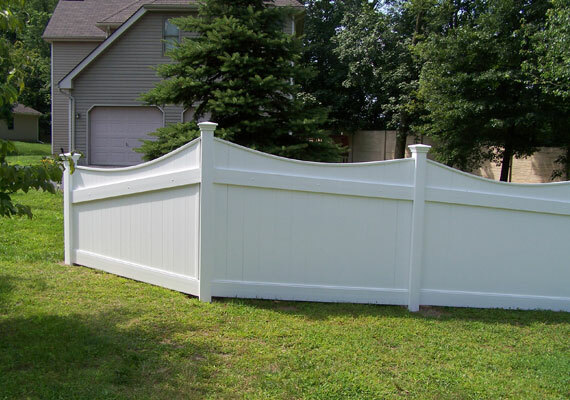 If we are setting posts for a vinyl fence, tell us in advance and we’ll install the bottom rails the same day so you can see how the fence flows and get an idea of its elevation. 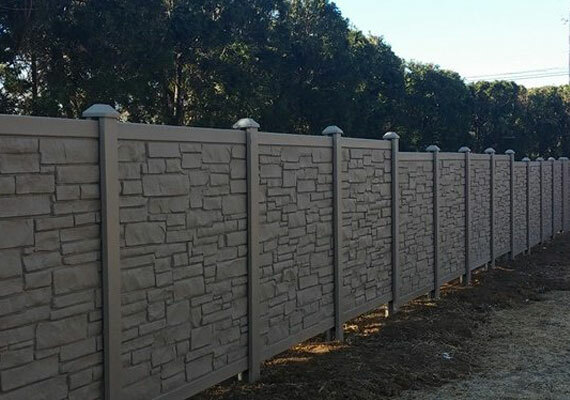 We can adjust the posts that day, but not after the concrete sets. 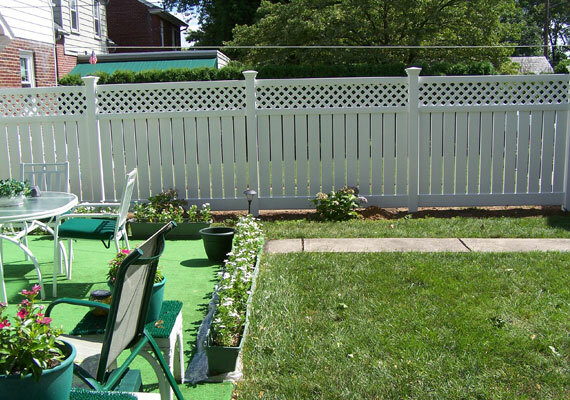 Aluminum sections go in the same day the posts are set, so being present the first day can really make a difference. 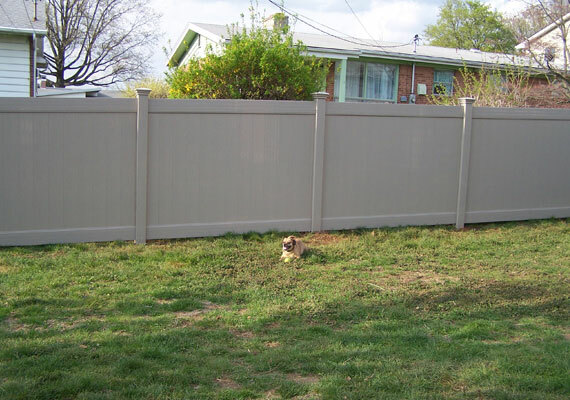 If your yard undulates and you have a small dog, it’s not a good idea to set an entire fence line into the ground unless you’re installing chain link or weld wire. 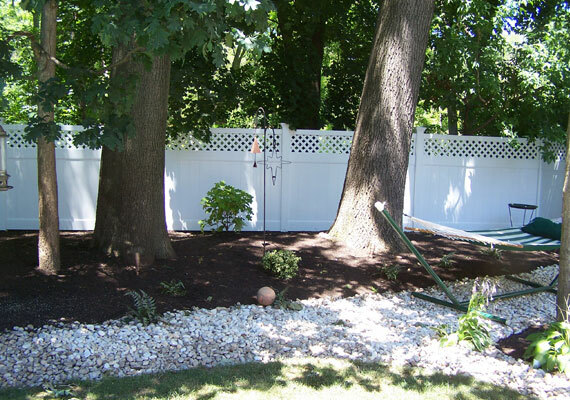 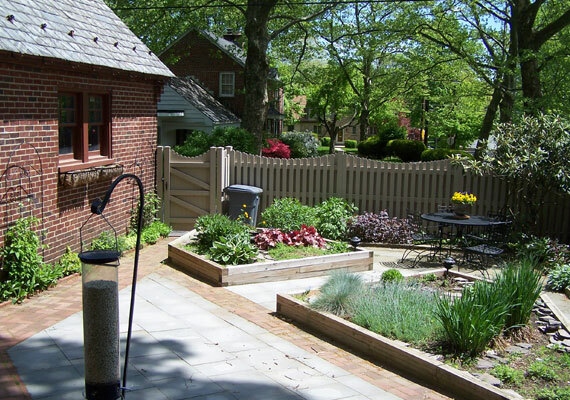 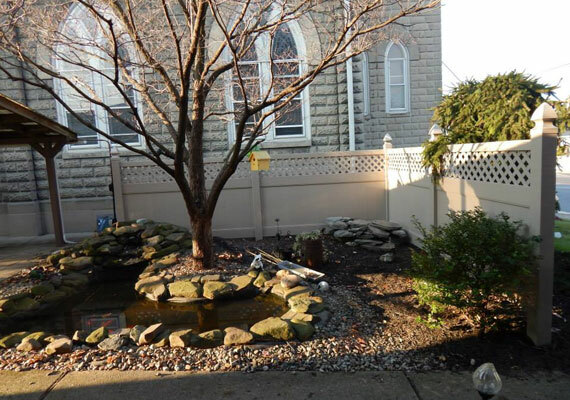 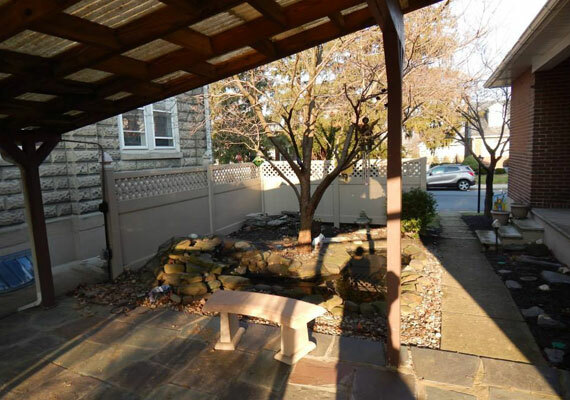 The resulting spaces below the fence should be discussed in advance – we can fill them in with weld wire, sometimes build the ground up, sometimes install some landscape ties. 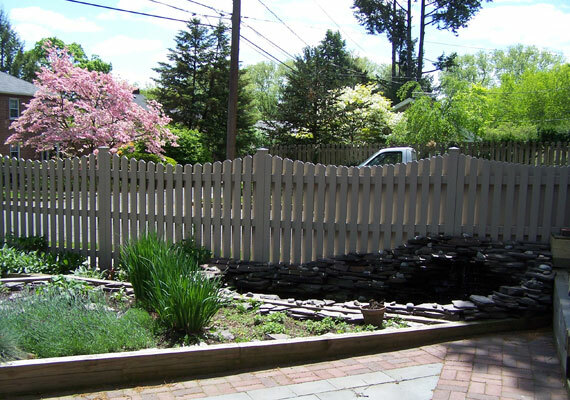 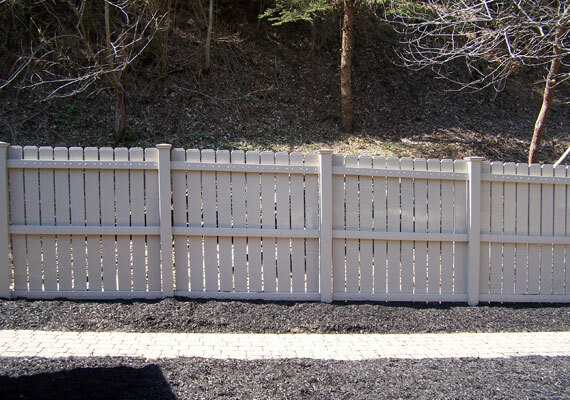 If you like the appearance of a fence that steps (versus a fence that follows grade), you must tell us in advance – it will impact the materials and the time needed to do the work. 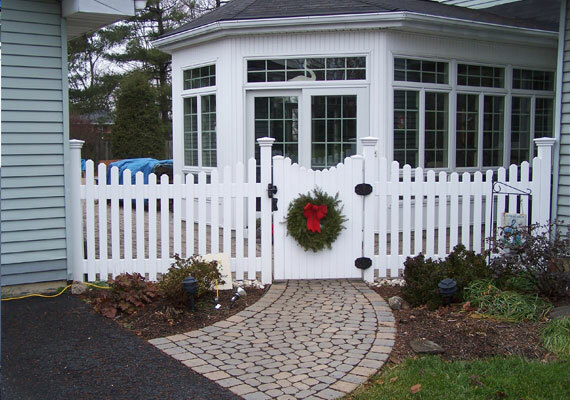 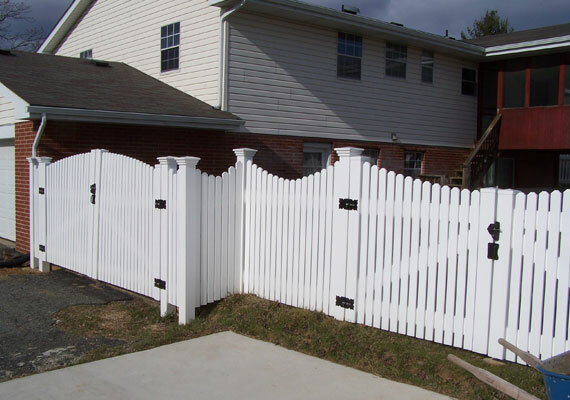 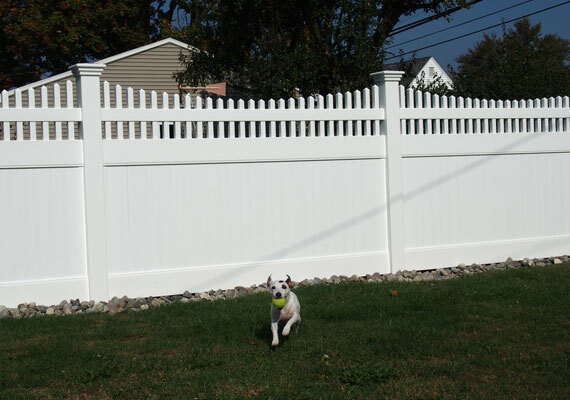 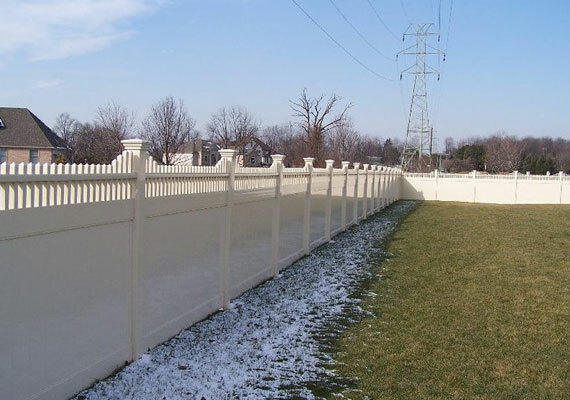 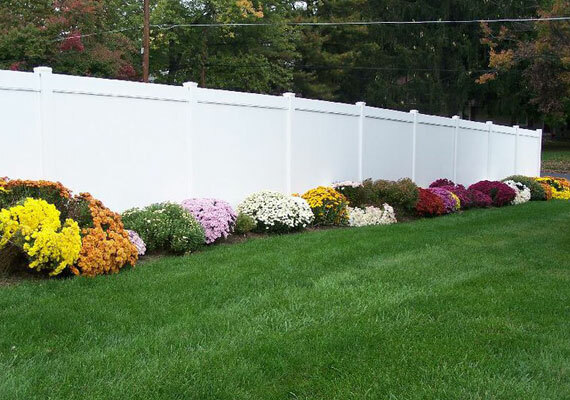 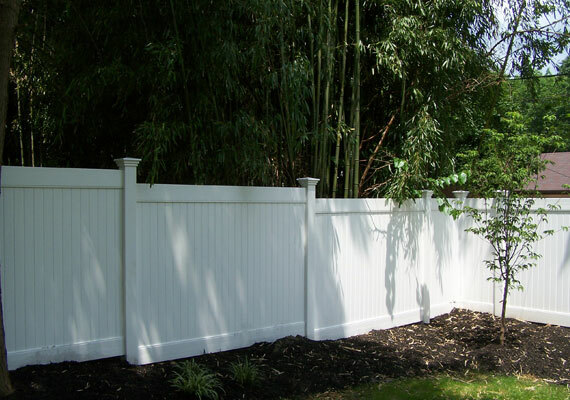 By the way, stepping a fence is not a typical approach for established fence companies – it is usually done when people wish to customize their fence or if they want to maximize its height, and can add to the overall cost. 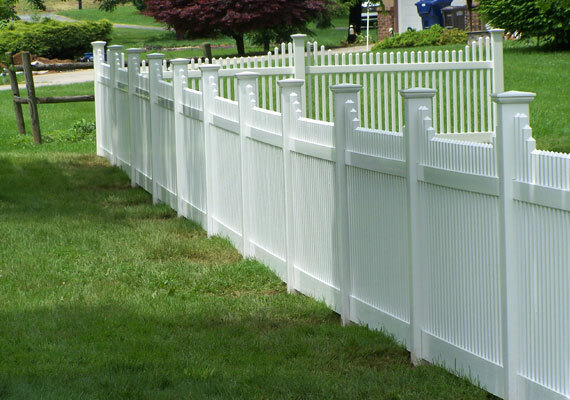 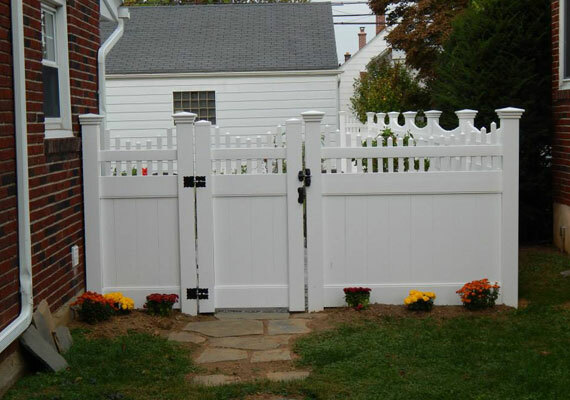 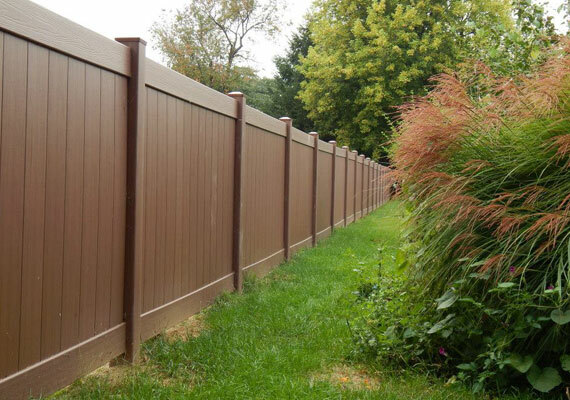 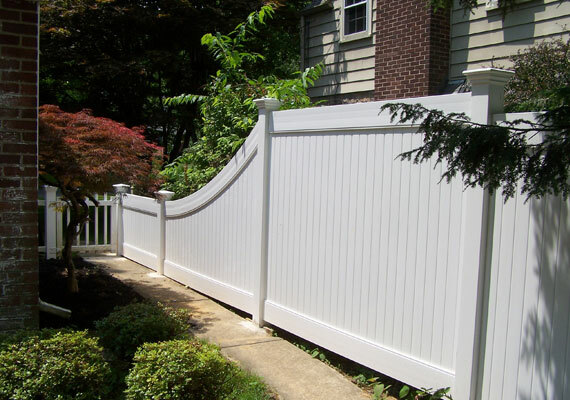 Ironically, in your travels, you will see that the majority of Home Depot and other low grade fences are stepped, but for an entirely different reason – their PVC fences cannot follow grade (the sections cannot be racked), also many subcontractors and do-it-yourselfers apparently don’t know enough to rack wood sections. 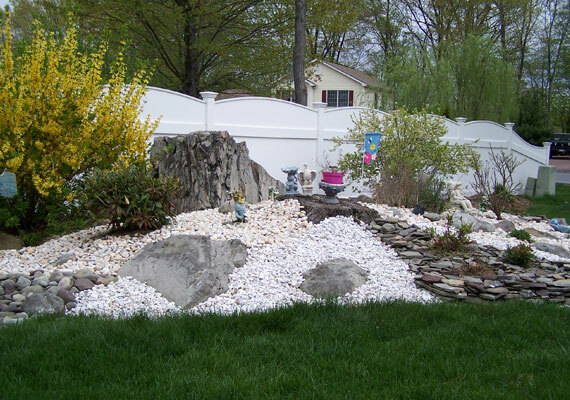 There are virtually no level yards – the ground must be graded away from the house to keep water out of the basement. 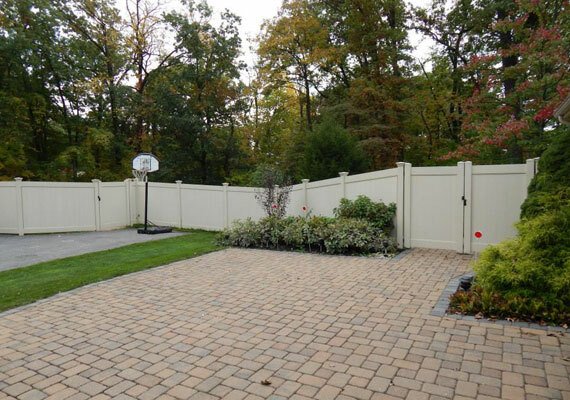 Even tennis courts are graded to shed water. 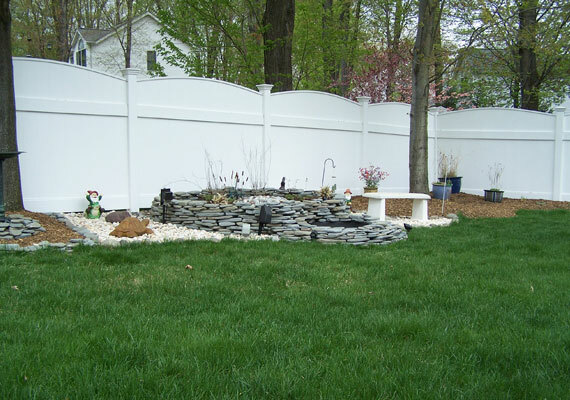 The majority of our customers are genuinely surprised when shown just how much their yard drops away from their house. 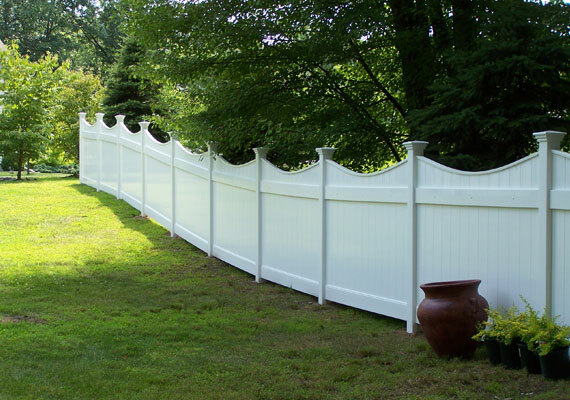 Oftentimes a fence will magnify this, so it’s a good thing to know it beforehand instead of being stunned when you arrive home that evening. 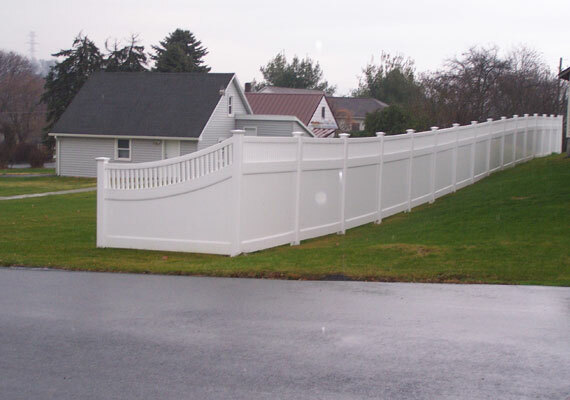 LV Fence prides itself on neatness. 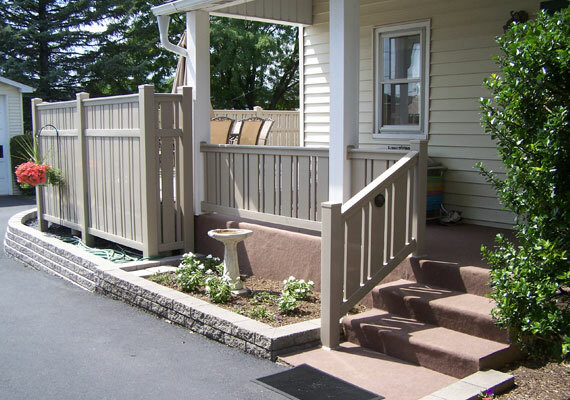 We are prompt, courteous, and will keep disruptions to a minimum. 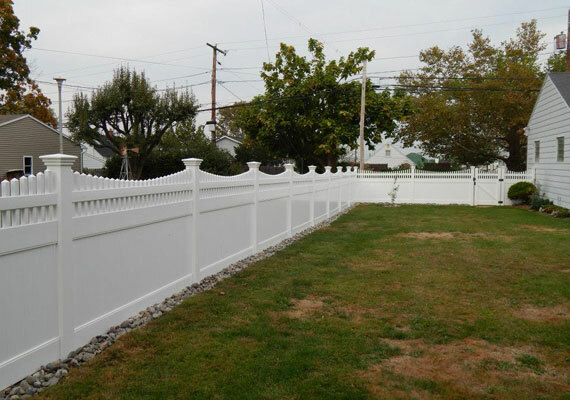 to schedule an appointment for a free estimate!